“I’ve to send this to India soon,” I told my new friend while stuffing some new Kashmiri-looking shawls into a shoebox that IndiaPost would approve of. “But you are in India!” he said after a long blank look, somewhere between amused and flummoxed. I laughed with the realization that Leh had made me forget I was in my own country. In the span of two weeks and countless Julays (a Ladakhi word meaning hello, thank you, goodbye, goodnight, good morning, and everything in between) and jaunts across Leh and its outskirts, I’d grown a sense of being far removed from my home country. Largely because one felt way safer traipsing around here than in any other Indian town/city. Locals had told me proudly that women could walk alone at any hour without a care, and their pride was justified in my experience. A happy politeness underlined almost every interaction, a norm as natural as the nip in the air. The one exception being the day a cow – of all things – decided to make itself known to me by head-butting me hard in my arm. In its defence, an SUV was trying to back up into the narrow lane with all the finesse of a walrus. Alarmed by the honking monstrosity, the cow did what she could to avoid falling into the nearby ditch. And I couldn’t have asked for a more emphatic way to work up my altitude-diminished appetite. Highly rewarding morning walks in this high-altitude town, with several black-billed magpies for company. And views that looked like postcards sent from another realm. Near Shey Monastery, one of the many bridges that will have you pointing your gaze – and your camera – in every direction humanly possible. Cycling across these bridges and the empty winding roads nearby is a memory that makes me forget everything else. As every solo traveller knows, there’s a particular high that hits you when you stand amid the sound and energy of a new place, not knowing a soul or having any agenda beyond the next meal. And when that place happens to be Leh, you can’t wait to step out the door every morning. Snow-addled horizons every time you look up and extra-furry street dogs deep in day-long siestas whenever you look down. I envied how supremely content they seemed just lying around all day. An old Tibetan guitar as seen at Jigmat Couture, a famous shop in Leh, opposite the district library. My local guide told me later that nomads (the non-digital kind) near Pangong Tso lake and Tso Moriri Lake play this instrument while trekking through the mountains with their goats. Everyone needs music. 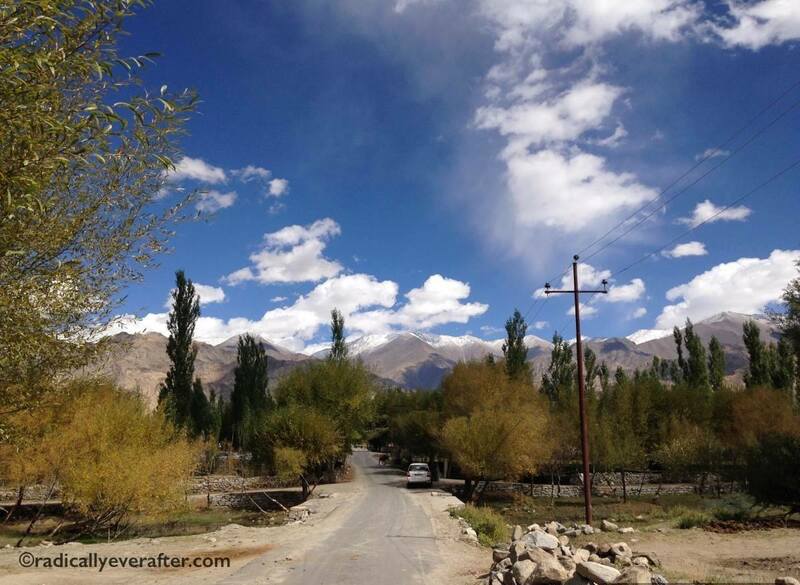 Largely seen as a pitstop enroute grander adventures in the Himalayas, Leh itself is a charmer worth getting to know. A cold desert town whose newfound conveniences have yet to dull its old-world delights. Peopled by some of the most simple and kind locals I’ve ever met, who happily invite you over for tea before even knowing your name. Strings of chortens and prayer flags, homes flaunting flowers like status symbols, and jewellery kiosks where gap-year wanderers negotiate with gap-toothed locals over Tibetan singing bowls and handmade gloves. Does anyone know what these flowers are called? I walked under them every day as it was my host’s balcony, but always forgot to ask. 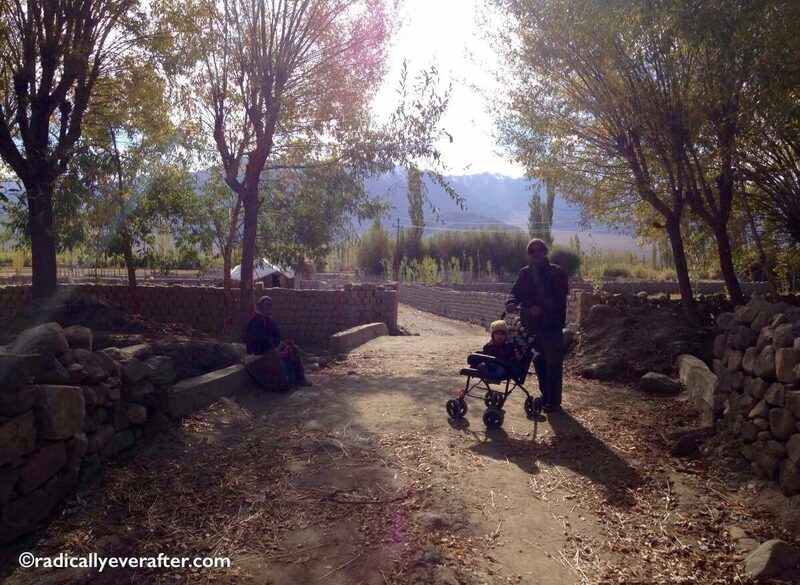 Brighter-than-sunshine poplar trees at the Dalai Lama’s Summer Palace in Choglamsar, a village on the outskirts of Leh. Meanwhile, a little monk explores his mischievous side from within the confines of a monastic childhood. 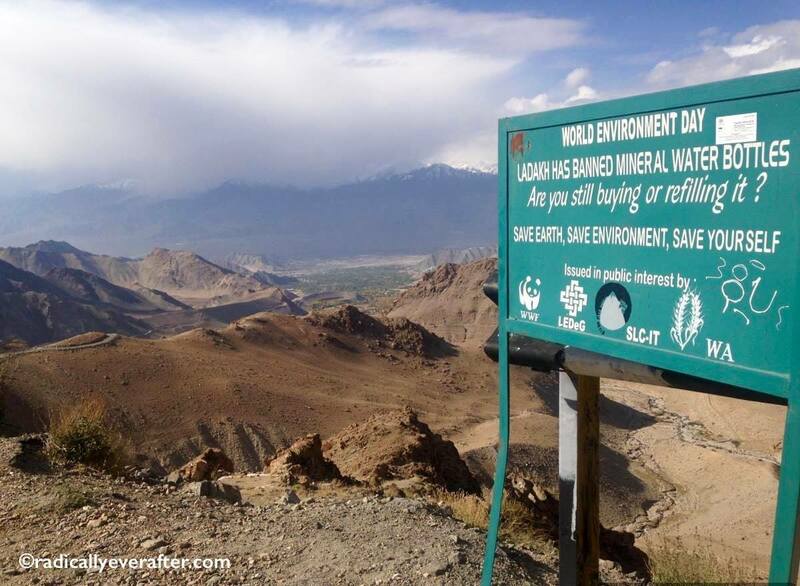 En-route Nubra Valley from Leh, a signpost as significant as the scenery. With SteriPens, handheld filters, boiled glacier water (how much purer can it get! ), iodine drops and water purification tablets, there’s really no excuse to buy another plastic bottle. If you still trust the bottled water companies, have a look at these articles here and here. Despite tourism having made its predictably clumsy dent, there is much to love about Leh. Responsible travel is the only way ahead, unless we want to stomp out its fragile ecosystem with plastic and apathy. More power to the Ladakhi homestays, eco-tourism organizations (such as LWTC) and a steadily growing awareness of responsible travel. This handbook compiled by the ISEC (International Society for Ecology and Culture) is especially useful for anyone visiting Ladakh. 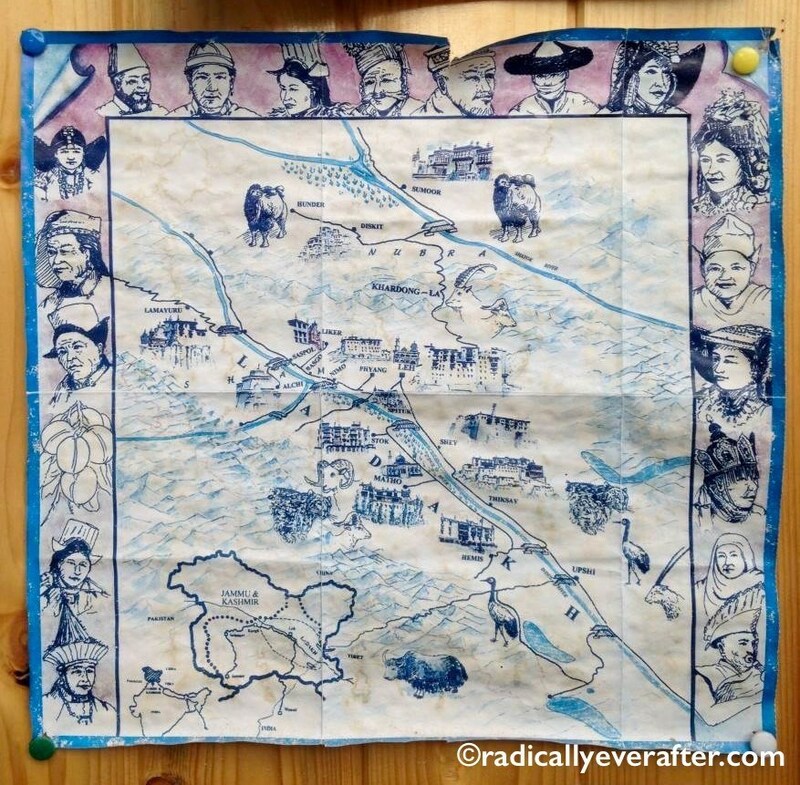 I loved its highly informative Leh map and the list of eco-friendly guest-houses and hotels in Leh. And if you’re looking for a great local guide, give Phuntsog a call at 9469048913. 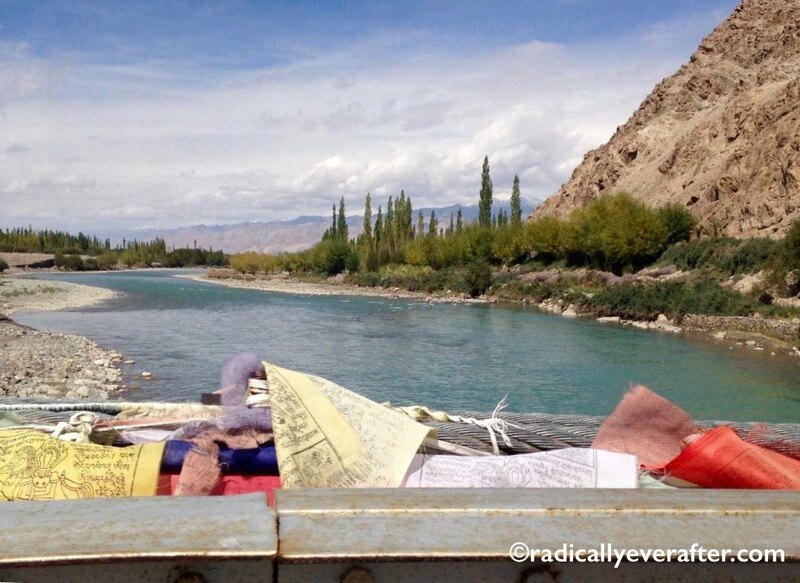 Like most places in the Himalayas, Leh will charm your socks off. As long as you let the itinerary write itself, with serendipity and not preconceptions leading the way. Two weeks of backpacking in and around Leh reaffirmed the value of slow unplanned travel for me. Letting the whims and winds direct your course is far more fun than ticking off things Google or guidebooks told you to. 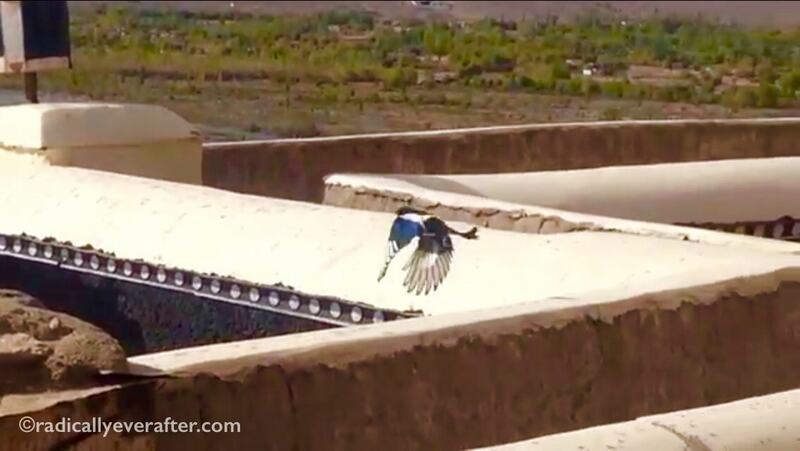 This monastery-visiting magpie would agree. I Hope you’ll Like my 4000 miles journey on my bike and finds it interesting and engaging. Hey, that’s a great post you have here on your blog. Leh Ladakh has been so long on my travel bucketlist but something or the other comes up in between. However, after reading this and seeing those awesome pics, I am definitely going there this year. Thank you Shaunak 🙂 I’m really glad this post makes you want to go this year! Hope you’ve booked your tickets already. Happy and adventurous travels! Great post! 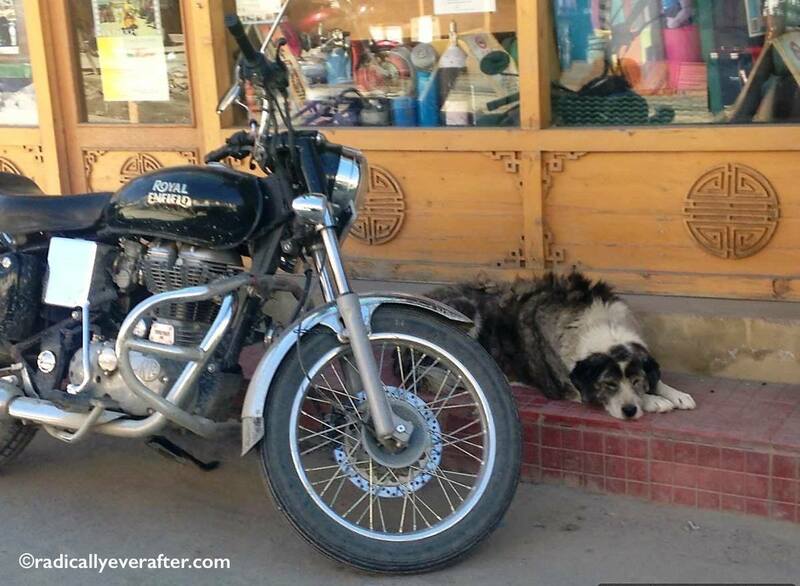 I always hear of going to Ladakh by motorbike is awesome. If you ever want to go by motorbike then you can hire motorbike on rent through http://www.snapbikes.in (An authorized bike rental service company).